The Customer Experience (CE) Manager is responsible for playing an integral role on the extended cross-functional support team for the Immunology franchise. As a member of the Commercial Analytics & Operations (CA&O) organization supporting our brand franchises, the CE Manager will bring Digital/CRM subject matter expertise to strategic brand plans and have responsibility for ensuring the Customer Experience is optimized for key stakeholders: Consumer/Patients and Health Care Professionals (HCP)/Managed Care. This role serves as a business partner in the development and pull-through of a differentiated, and insights-driven customer experience. The role supports the franchise teams by leading the orchestration and alignment of touchpoints across the customer journey. 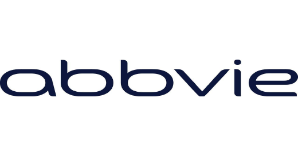 This role will also be accountable for bringing expertise and leadership support to advance the AbbVie Digital Marketing Platform (marketing cloud) and pull-through of an advanced HCP multi-channel ecosystem vision. Specifically, developing and maintaining brand experience designs, ensuring adherence of customer privacy and compliance practices, drafting of marketing campaign business rules and requirements, as well as identifying and partnering with Emerging Analytics team to develop sound measurement/reporting constructs for all programs. The CE Manager will also ensure that all Digital/CRM activities align and integrate well with the existing Digital/CRM multi-channel ecosystem. Lead Customer Experience design and CRM/Digital expertise in support of the Brand team. Guide development of impactful and relevant in-field team tools and assets (sales aids). Lead pathfinding brands on proof of concepts/pilots for emerging digital capabilities. Provide brand team support to manage the development and completion of execution plans (timelines) from start to finish for CRM/Digital programs. Collaborate effectively in a matrixed environment with Brand Marketing, Creative/CRM/Digital agencies, Media, Market Research, Analytics, Business Technology Solutions (BTS), Sales Operations, and Medical/Regulatory/Legal integrated business partners. Maintain a deep understanding of Brand customer insights, journey and segmentation strategies - and apply them to CRM/Digital campaigns and programs. Lead cross-functional team (Brand/CE/MABI/Agency) to design and implement ideal customer experience aligned to journey phases and strategic messaging strategy. Provide input and inspiration through active participation in the annual brand strategy and tactical planning process. Serve as business owner and product manager for website architecture, requirements and utilization of AbbVie Digital Marketing Platform. Guide creative agencies to ensure the development of relevant, 1:1 creative and messaging, including CRM/Digital marketing best practices. Understand and execute data capture and data privacy (opt management) consistently across all channels. Identify new or unique Brand CRM/Digital data requirements needed for program. Able to prioritize & gracefully manage competing priorities to ensure deadlines are met. Collaborative nature and ability to influence and guide cross-functional stakeholders. Exceptional functional knowledge and expertise on digital marketing platforms. Inquisitive, strong analytical skills, including the ability to infer and apply learnings. Attention to detail and follow-through on execution. Strong project management abilities and critical work tool experience. Positive “all for one” approach to team deliverables and priorities. Builds strong relationships to enable higher performance. Learns, fast, grasps the “essence” and can change course quickly where indicated. Creates a learning environment and open to suggestions. Bachelor’s degree in Business or Marketing with four to six (4-6) years of CRM/Digital experience. Demonstrated experience with start-to-finish planning/executing multi-channel digital marketing/CRM programs, including: websites, email, emerging media tactics, mobile (apps/sites/media/SMS), SEO/SEM, social media/social listening. Must have thorough understanding of measuring impact of digital/CRM including social analytics, SEO measurement/management, digital/mobile metrics. Strong experience with enterprise CRM/Database/ESP platforms in an operational/executional capacity. Must have experience with personalization, 1:1 approaches/data capture techniques. Must have experience identifying and outlining key campaign metrics (KPIs) and building campaign pro-formas/measurement plans/marketing analytics.